Growing up next to the beach is definitely a privilege not everyone has. “The Informed Surfer”, teaches the average beach goer (beach tourists and weekend worriers) about visiting the beach and the ocean. Locals typically gain this knowledge, however, through hard learning over a lifetime of ocean experiences. Growing up in Wrightsville Beach, there weren’t classes teaching the best place to paddle out or how to read waves. We sat out and waited, broke boards, failed at making it past the breakers, got caught in the rips, and through trial and error, learned. This is why the surf instruction industry, and WB Surf Camp, exists. We have decided to share some of this knowledge so that you can stay safe and spend the precious little time you have at the beach catching waves instead of ‘learning the hard way’. 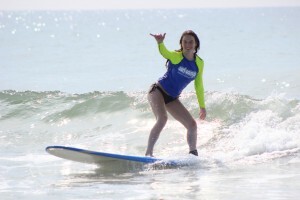 Even with a knowledgeable coach and the great conditions of Wrightsville Beach, learning to surf (among other ocean sports) takes time and practice. Hit the water often or join us for a camp, and hopefully learn solid tips before ever starting. 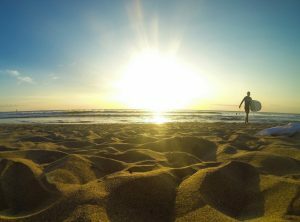 In the next few weeks, the “Informed Surfer” aims to highlight a variety of beach topics. Some include: choosing the best spots, picking the best places to paddle out, safety in the water, and insider tricks to make optimize your ocean experience. Our goal at WB Surf Camp is to share our passions and ignite new ones for you. This world is our life and we will always welcome newcomers. We hope to see you in the lineup and cheer as you drop in on your first big line.